The bullets were fired 50 years ago. They're about to hit home. There are times in life when you just need a particular kind of book. Something that will take your mind off everything else and will smooth the edge of restlessness when what you need is to settle. 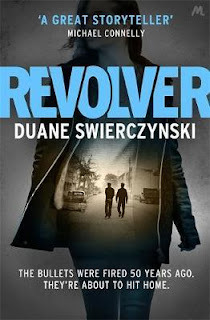 Revolver did that for me this week, even if it did keep me up way past my bedtime last night to undo some of that good work. The novel opens in 1965. Stan Walczak and his partner George W Wildey are taking a break from their duties while they sip cool beer in a Philadelphia bar. Within a couple of pages we know enough about them to understand that we like them and that they live in interesting times. The mood is good and the music's fine. It's a shame that their time is interrupted by a customer pointing a gun. Chapter Two takes us on thirty years. Same family, same city, same profession, different case. Jim Walczak stands outside the bar where his father was killed thirty years earlier. Chapter Three and the next generation of Walczak's are gathering to commemorate the murder of their grandfather. The structure continues in a similar sequence from there. 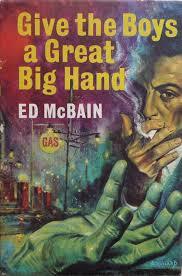 Working back from 1964 to the opening chapter, we get to find out how Walczak and Wildey came together. They make a hell of a team as they set out to clean up the streets of the city's toughest area. Slowly but surely, we come to understand that they're getting themselves into waters that are murky and shark-infested and in which they are way out of their depth. It becomes clear that their killing was more likely down to their own actions than the pure accident of being in the wrong place at the wrong time. 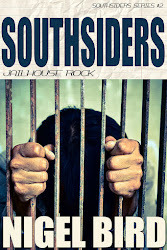 In 1965, Jim Walczak is struggling to keep hold of his sanity and his family life. Haunted by the killing of his father and the release of the man suspected of the murder, he's also investigating another homicide involving a young journalist with a bright future. In 2015, Jim's daughter Audrey has ideas of her own. She's a flunking student of forensic science who sees only one option to help her straighten out her life, and that's to solve the mystery of her grandfather's slaying once and for all. In order to do so, she needs to poke a stick into the hornets' nest of her family history and risk alienating herself from even more alienation. Each of the stories is wonderfully told. The excitement builds and the need to understand what's happened over the three generations grows exponentially as the plots unfold and twist together. The layers compliment and feed off each other in a wonderful and natural symbiosis. Pace gathers and tension mounts as the storylines ratchet up, but never at the expense of attention to detail. Elements of backstory for each character are handled with subtlety and the interesting facts about the city are dripped in in such a way that they are always welcome and never get in the way. The resolution to the novel is extremely satisfying. Not only does it bring the whole of the past together, it also sets out the present and the future. It would have been so easy for such a complex work to fall flat on its face at the last hurdle, but Revolver sails over it. I love this one. The characters and sense of culture and place are top class. It's right up there as one of the favourites of my year. Michael Connelly gets a quote on the cover, suggesting that Swierczynski is 'A great storyteller.' How absolutely Mr Connelly has hit the nail on the head. This one's glorious. A black-cloaked killer leaves a bag behind when disappearing onto a bus. Patrolman Richard Genero sees what happens and goes and opens said bag. The only thing in it is the hand of the title. A murder investigation takes place, using the reports of missing persons as that's about the only line of enquiry available. I suppose that any series is going to have it's highs and lows. It also makes sense to say that the better a series is, the more enjoyable the lows will be, so it stands to reason that any of the 87th Precinct books are going to be worth reading even if they don't always hit the mark. This one didn't really get me totally absorbed. I'm unable to put my finger on why. As much as anything, I suspect that it's because there's no serious development of any of the central characters. The case itself goes like clockwork. Though the leads don't take them far in the early stages, they soon come together to help the detectives crack the case. Notable in this one are some of the set pieces. Genero trying to get a warming Passover wine from a local tailor, Carella spoiling for a fight (and finding one) and an amusing visit to a high-brow clothes shop stood out for me. The ending also provides a terrific and bizarre finale that is hugely twisted and has been oft borrowed since. More good stuff from McBain, but there are better vintages available. I recognise the bench from a picture on her Instagram account. It's the same one that a duck pecked Todd's backside through, mid-way through Gravy Train (US). That book is set in Birmingham, in a myriad locations including this park, Moseley itself, a back-street boozer near the Jewellery Quarter, and of course, Birmingham's sprawl of canals. Which brings me rather neatly to my first question. Nervously, I clear my throat. 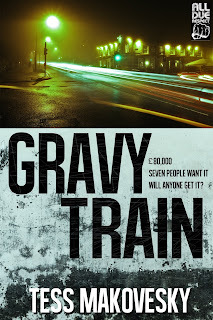 So, where did the idea for 'Gravy Train' first come from? You can blame Birmingham's canals for that! The city has more miles of canal than Venice, and the police are always fishing odd things out of them. Not just litter and shopping trolleys but dead bodies, and in a case that made the local papers about four years ago, an entire bag of money. This was unusual enough to make all my crime-writing instincts start squawking. Where had the money come from? How had it got there? By accident or design? And if the latter, what had the people who put it there hoped to achieve? Usually when I write a story it satisfies the creative urge on that subject. But the idea stayed with me and I began to plot out just how that money might have made its way into the canal, and who it might have got involved with along the way. And suddenly, the outline of Gravy Train was born. You set both this book, and its predecessor 'Raise the Blade', in Birmingham. You must know the city quite well? I moved down to Brum in the mid-1980s to work, and ended up living there for over twenty years. As I don't drive I travelled everywhere either on foot or by bus, so I got to know places that most people never even notice as they drive past at thirty miles an hour. Although the city has a reputation for being nothing but motorways, factories and dull 1960s concrete, there are actually all sorts of unusual nooks and crannies if you know where to look. These range from swathes of Victorian and Edwardian suburbs to stately homes; medieval manor houses and churches to gleaming modern office blocks; dodgy back alleys to tree-lined boulevards. And of course, those canals! Although the city council works hard to preserve the city's heritage, things are always changing and every time I go back I discover something new, so it's a place that's full of surprises and well worth getting to know. What's all this about a link to Pink Floyd? Guilty as charged! I'm a huge fan of the band, their music in general and Roger Waters' brilliant lyrics in particular. When I was writing Raise the Blade I realised that the lyrics for their track Brain Damage (from the famous Dark Side of the Moon album) summed the book up perfectly. I nicked a tiny fraction of the lyrics for that book's title, as well as hiding other references to the track, and to Floyd in general, throughout the book. 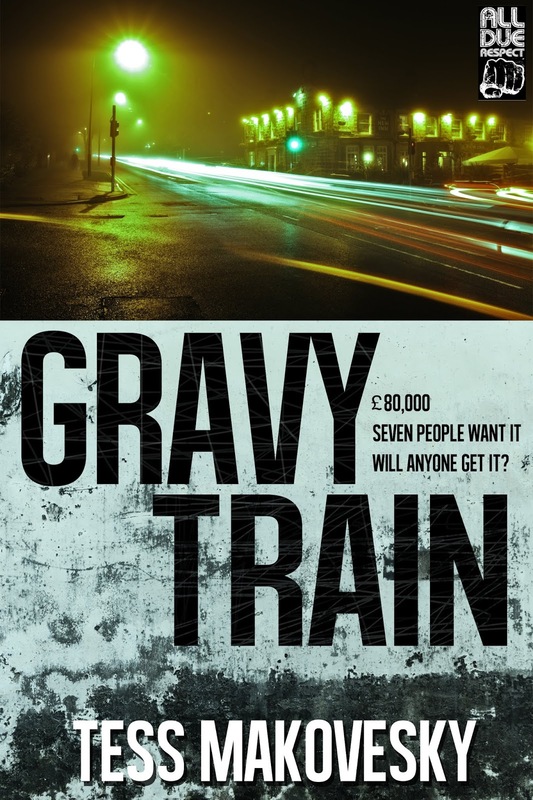 When I came to write Gravy Train it seemed like a good idea to carry on the Pink Floyd connection, so that title is also from a Floyd track - this time Have a Cigar from Wish You Were Here. Again, the lyrics match the ethos of the book perfectly, and again I've scattered references to both that, and the equally appropriate Money (Dark Side of the Moon again), throughout the book. I hope readers have fun spotting them! Well, I don't know anyone called Ballsy McBollockface if that's what you mean! But no, this time around the characters aren't really based on anyone I know. In Raise the Blade some of them (the over-bearing Gillian, for instance) were amalgamations of several people I'd met, but for Gravy Train I didn't seem to need that extra prompt. 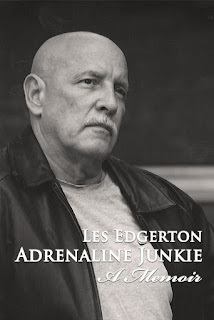 The characters were already there in my head, and spilled out onto the page ready-formed. The only exceptions to that are Justine and Fred. They first turned up in my short story Wheel Man, published in the Drag Noir anthology by Fox Spirit Books. 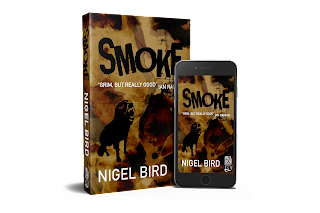 I loved writing that story, and when the plot in Gravy Train called for a car thief, it seemed silly not to turn back to Justine and finish off her story. I hope the readers agree. Are there any more Pink Floyd-inspired, Birmingham-set books in the works? Funny you should ask! I'm currently scrabbling around on the 50th rewrite of another crime caper set around those same canals, and featuring a bizarre getaway on a narrow boat. It's called Embers of Bridges, which is cheerfully nicked from the Floyd track High Hopes (The Division Bell) - one of my all-time favourites and a perfect fit for the melancholy and suppressed anger I'm writing about. I'm hoping to finish it in the new year, and submit it to All Due Respect after that. Whether they'll actually like it is another matter! As well as that, I have a dark psychological novella called Consumed by Slow Decay which is set in Birmingham again but inspired by the rather odd case of a body discovered under the tarmac of a car park in Manchester. 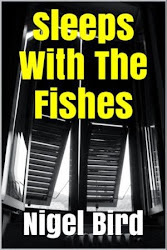 And as well as that, I've penned a few chapters of another book which doesn't even have a proper title yet, but which features Edgbaston Reservoir and a bloodthirsty murder in the first few chapters! And that's that. I've asked my questions, and I'm still here to tell the tale. She hasn't killed me, or even threatened to write me in as a victim in her next three books. Then again, I did happen to mention that I quite like Pink Floyd too. I fold away my notebook, tuck it into my handbag, and turn to shake her hand. Then I squawk. There's a sharp jab from something small but very hard, right through the slats of the seat. I look at Tess but her hands are folded on her lap. There's a mocking quack. I’m, waiting to interview Lisa de Nikolits, author of Rotten Peaches. I’m unavoidably early (I’m always early) and I’m annoyed the author isn’t here although she does have twenty minutes grace. Oh look, there she is, she almost collided with a couple, one of those awkward door-tangling episodes. Lisa looks perplexed as if Starbucks is an alien world, confusing and inhospitable and she’s gazing around, peering nearsightedly at her phone. I stand up, making lifeguard signalling motions and I finally catch her eye. I have her books piled up on the table and she waves back at me, smacking a hefty man on the shoulder. She apologizes and heads towards me, threading dangerously through the tables and nearly knocks a venti something or other into a teenager’s lap and the teenager scowls. Lisa apologises for being late, I assure her she wasn’t, and we chat about who’d like to eat and drink what and Lisa goes off to procure a venti Pike for me and a pumpkin scone, and a grande non-fat, no-foam latte for herself, with a Marshmallow Dream Bar on the side. I wanted to do the purchasing but Lisa’s order was far too complicated and I let her do the honours. I watch her. She’s shorter than I expected her to be and she looks older, tired. She’s quite chatty to the barista and I tap my pen impatiently against my notepad. When she returns, we get settled and I launch right into it. The one where you are submerged under water and you can’t breathe and you can’t make your way to the top. You can see the light shining down through the water and it’s like you’re lying on your back on the bottom of a murky pond, you’re Ophelia, sunken and there’s no escape. I meant your worst nightmare in real life, the worst situation you have been in or could imagine being in. Real life is so boring! I far prefer to think in imaginative terms. Real life is boring? Isn’t that what inspires you? No. My imaginary life inspires me. Reality is a killer. Hour upon hour of mind-numbing tedium… that’s real life for you. And yet you come across as someone endlessly fascinated by the people and minutiae around you! I’ve read all your interviews. I am fascinated by life, you’re right. But only as a base ingredient for what my mind can do with the thing. In and of itself, what I observe around me is merely a starting point. And what is the catalyst for turning a dull base chemical, as it were, into a magic potion for a story? [Laughs] Honestly, I have no idea. I guess it comes to down to having a good imagination, a touch of psychosis and an almost pathological commitment to being a writer. With the emphasis on psychosis, I’d like to discuss Rotten Peaches with particular attention to the two secondary characters, the two love interests. JayRay, the conman, and Dirk, the Afrikaner who wants the old South Africa back and who will do anything to try to make that happen. How did you come up with them? 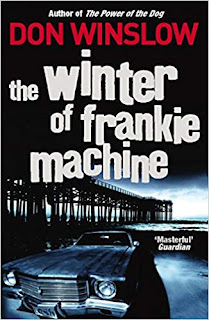 I always loved Frank Chambers, the conman love-interest in The Postman Always Rings Twice (James M. Cain), and I wanted to write my own spin on that kind of guy. I had a lot of fun with JayRay, he’s one of my favourite characters! He’s so sleazy and so gorgeous! Dirk was inspired by an ex-boyfriend, an Afrikaans man with strange moral boundaries that were dictated to him by his Church and People – the Afrikaans morality. I wondered what happened to him in the new South Africa and that became an interesting line to follow. Both of those characters opened up fascinating plot lines for me and writing the dialogue was a blast! As a writer, it’s the greatest gift, when characters present themselves, fully formed, script in hand and a bunch of warped ideas! It creates so much opportunity. 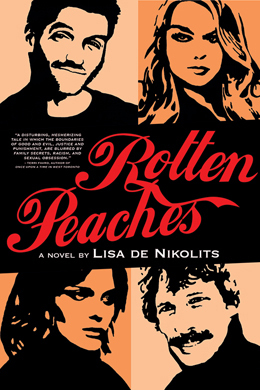 Rotten Peaches is primarily about love, lust, greed and obsession. But there is racism too. Can you talk a bit about that? I was born in the era of apartheid and I grew up in it. Voting for Nelson Mandela was one of the most beautiful moments in my life. It was a time of wonderful optimism and hope, it was truly amazing. I always wanted to write about the apartheid experience, as a way to acknowledge the terrible wrongs that existed when I grew up. We had a housekeeper, although in those days we simply called her the ‘maid’ even although she was a woman in her thirties with her own children. I never even knew what her surname was. Betty. And I wanted to apologise to Betty by writing about her. It doesn’t make things right, of course it doesn’t, and Betty, my real Betty, will most probably never know about the book, but sometimes you write about things that have worried you in your life, things you can only put right in fiction. You have described your writing as Little House on The Prairie meets Pulp Fiction. That’s quite the combination, can you explain this? [Laughs] Yes, well there is a farm scene in Rotten Peaches which starts off feeling all peaceful and lovely and then it’s like Quentin Tarantino arrives and it gets quite nasty! I like to take ordinary lives and ordinary people and then use the worst ‘what if’ that I can imagine. 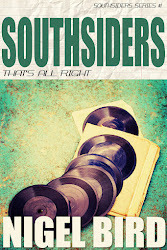 But my ‘what if’ definitely has a noir spin to it, noir with some humour. Yes, let’s talk about your humour in writing. Is that an intentional writing device to ease plot tension and bring depth the characters or why do you use it? I don’t use it, it uses me! I don’t have as much control over my writing as I’d like – honestly, it pops out and I’m like a bystander, mouth open, going okayyyyy…. But that’s what makes it hugely entertaining. I’m not funny by nature, I hate watching comedy, it really stresses me out. What kind of person doesn’t enjoy comedy? You have to explain more! I just don’t! Half the time I just don’t get the joke! But that said, I can watch Ace Ventura, Pet Detective on repeat and I never stop laughing. Or Dumb and Dumber. Cracks me up! I don’t write that kind humour of course, mine is more satirical, wry. I think I have a rather cynical view of life and that comes out in humour. But it’s as if it was written by someone else – like when I read JayRay’s comments, I wonder where they came from! I just do as much as I can in a day before I fall over. I have a day job, I’m a graphic designer/magazine art director, although these days magazines are as rare as hens’ teeth, so mainly I do graphic design. Which is actually a lot easier than writing! Writing is a very tough gig! So I do as much as I can at night and on the weekends. I have a running to-do list when it comes to my writing and it’s very long! My motto is this: Do One Thing A Day For Your Writing and I stick to it. One sentence or 10 000 words, it doesn’t matter, just do one thing. Tell us about a few things on the to-do list. 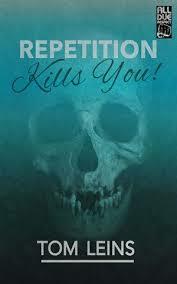 I’m doing a lot of readings for Rotten Peaches which I always enjoy. Going to festivals, reading from the book and being on panels is always such a treat after all the hard, solitary slog of getting the book out there! I’m also working on a short story, Hit Me With Your Pet Shark, for the anthology In The Key Of Thirteen, which will be published by The Mesdames of Mayhem in 2019. I’m a member of the Mesdames, we’re a collective of crime-loving ladies (and two gentlemen!) and it’s a great group of superbly talented people. The Occult Persuasion and the Anarchist’s Solution will be coming out in 2019 and I need to do a lot of self-editing on that! I am working on another noir novel, The Weegee Doll, and I have the fledging idea for a time-travel crime novel called The Rage Room, although I do seem a little stuck on that one which is frustrating! There might be nothing there! I’m also looking forward to going to Milan in April of next year to launch Una furia dell’altro mondo (The Fury From The Other World), the Italian publication of No Fury Like That. So there is lots to look forward to, lots to keep me out of mischief! Although being mischievous is so much more fun than not! Anything you’d like to add, in closing? Readers, keep reading and writers, keep writing! Books (and fat-bottomed girls!) make the rockin’ world go round and let’s keep it that wayFor more information, check out Innana Publications ('essential reading for feminists the world over'). 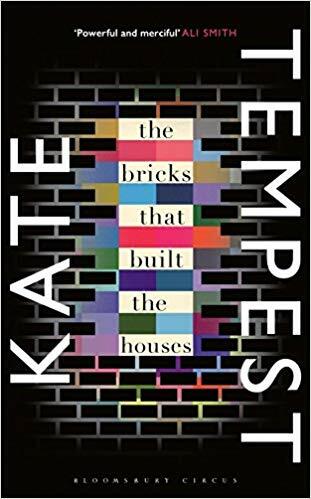 Kate Tempest is an extraordinary poet. She musters power and depth and windows into humanity with such a brutal honesty and turn of phrase that it’s impossible to remain untouched. 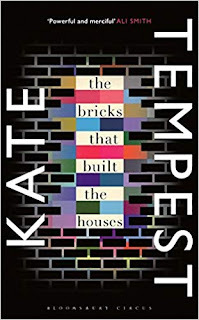 Her novel, The Bricks That Built The Houses (US) often reflects these strengths. It opens with a burst of excitement. Harry, Becky and Leon are leaving their home town with a bag of money and their hearts pounding like crazy. They’re not safe. They’re on the run. South London is all they really know. It’s a catchy start and an edgy one. From this point on, we’re draw back to the beginning of this tale – their journey from a late night meeting at a drug deal through to the danger of what lies ahead. Having established our main characters, the novel takes regular tangents to fragment into vignettes of the bricks that built the houses. There are back stories galore as we get to understand the lives of each family member in some depth. Each of these pieces is well told and has enough intrigue to pull a reader in. Though the key narrative gets lost through this process, the book never loses its energy and drive. Lives overlap. We get to understand that every person has a tale to tell. That the histories that are hidden well beneath the surface are tough, exciting and incredible. Each individual story forms a circle. When these circles come together, they fill the canvas like a pointillist painting. The simile there may be terrible, but it draws me to a key element of the writing. The description here is stunning. Whether it’s the urban landscape or the body that’s on view, the pictures are painted in such a way that they burst from the page. It’s really quite something. It’s also something that can get in the way of the plot on occasion and could maybe become stronger with a touch of dilution. I really enjoyed Bricks a lot. I’d often stop reading and immediately want to pick the book up again, which is always a good sign. That’s not to say it was perfect. In fact, there are lots of flaws that are difficult to overlook. The exploration of each character’s back story may be well-handled, but the novel begins to feel the weight of all those tales by the end. Momentum slows a good deal before sparking back into life at the conclusion. There’s also an issue with the range of character responses. Too many of them experience the world in the similar ways. Their biologies are almost identical. Their reactions could be interchangeable. Which, of course, may be the point, who knows? As the strands of the work came together and come close to getting back to where things began, the energy fizzes and sparks. It’s a change of pace that is welcome, but is also slightly incongruous. 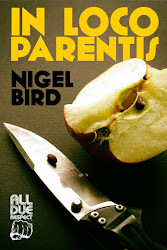 In many ways, if the individual elements were surgically removed and reworked, there could be two novels here, a well-paced crime drama and a literary gem. All of those issues may have fallen to the back of my mind had it not been for the ending. The ‘what happened next?’ element arrives and drags down the energy so that it disappears even more quickly than it came. It was something of a let-down and I’d rather have had the ultimate conclusion left to my imagination. Which all seems rather damning. It shouldn’t. In spite of the things I feel were wrong, I still found the read compelling and would recommend it without much reservation. There are so many things to like and so many touches that need to be experienced that I hope you’ll give it a try.